To install a resource pack, you need to create a direct download link, for that we are going to create the link in Dropbox, because it's fast and easy. 1. Create an account on Dropbox. 2. Download a resource pack from internet and save the file into your computer. 3. Now we are going to upload our downloaded resource pack to Dropbox. 5. Make sure that it was uploaded. 7. Click on share to create the download link. 9. Be sure that the setting is on "Anyone with the link can see it". (If not, change the setting). 10. 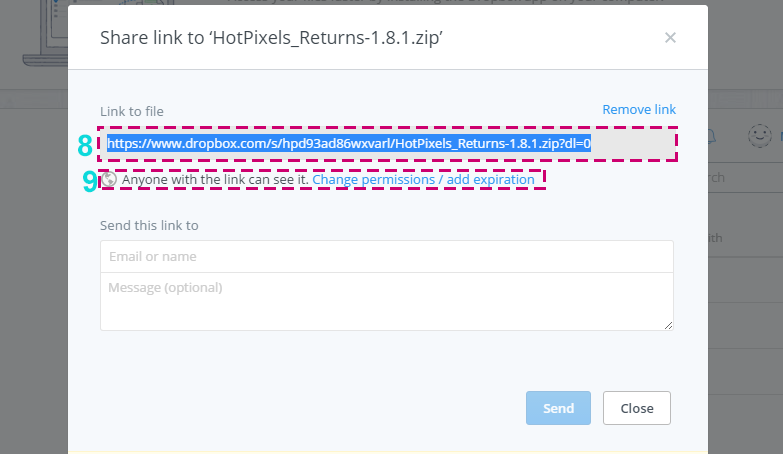 Change the link to "https://www.dropbox.com/s/hpd93ad86wxvarl/HotPixels_Returns-1.8.1.zip?dl=1"
11. Paste the link into "Resource pack" box. 12. 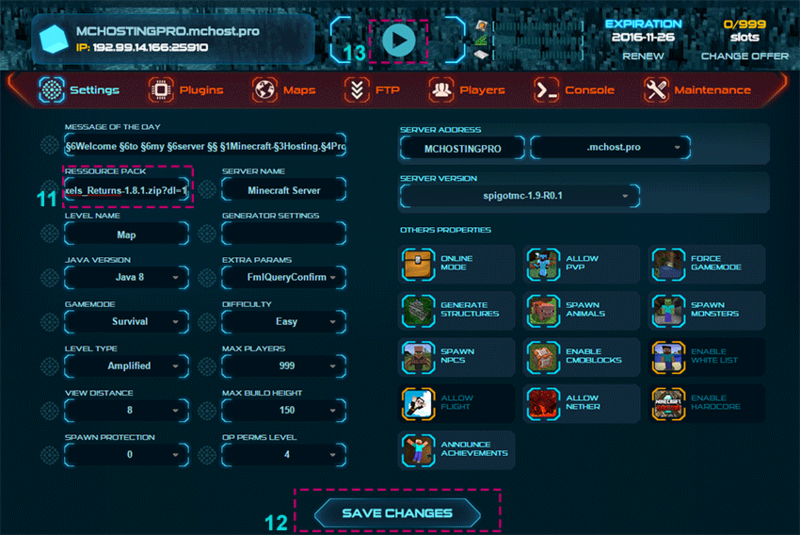 Click on "Save changes". 13. Start or restart your server. 14. 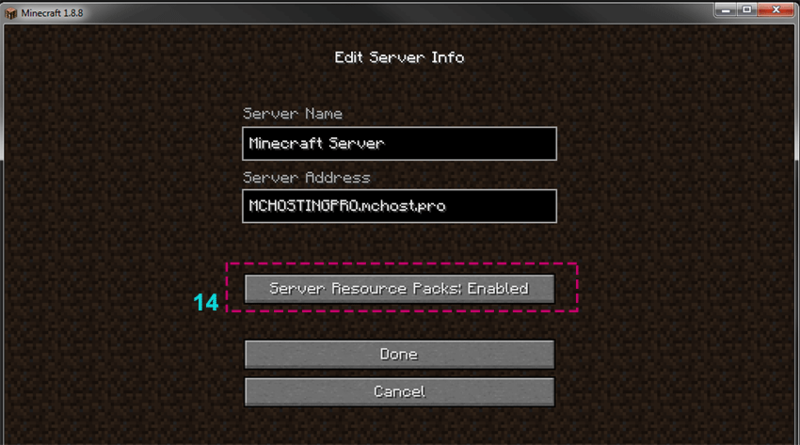 Be sure that you have enabled server resource pack acceptation (you can access to the panel with the edit button).